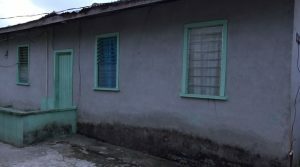 Shockwaves are rippling through the West Bank Demerara (WBD) village of La Grange, following the death of a one-year-old, who met his demise after he was reportedly fed carbon tablets (rat poison) by his nine-year-old brother. The dead child was identified as Andre Keron Tappin of Lot 18 La Grange Public Road, WBD. decided to feed the pills to his baby brother.